Eons before Tryon Creek rang with the sound of loggers’ axes, or the whoosh of a Chinookan arrow finding its mark in a deer, or even the flute-like song of a wren soaring up into ancient cedars – the forested canyon had been birthed by irresistible forces of plate tectonics and volcanic lava flows. Subduction zone diagram modified from an image by José F. Vigil and Robert I. Tilling, courtesy of U.S. Geological Survey. Over 200 million years ago (mya) all of Oregon was ocean bottom. Over the next 150 million years, as the Pacific ocean plate slowly subducted under the North American plate, seafloor and volcanic islands were scraped off onto the continental plate. 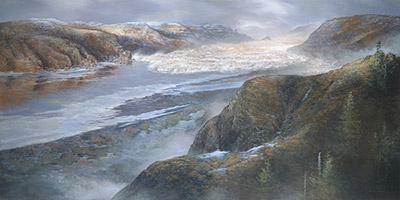 Eventually, around 40-30 mya, a chain of islands plowed into the plate and began forming the Coast Mountains. These same ancient basaltic rocks, known as the Waverly Heights Formation, became the underlying strata of the Tryon Creek area – and can still be seen in a few places around the park today. Over the succeeding 10-15 million years, uplift and erosion continued to sculpt the initially flat landscape – until about 15 mya a new phase of extraordinary volcanism began. Enormous vents in eastern Oregon tore open and began to pour out lava. Over thousands of years, unimaginable quantities of lava (known as the Columbia River basalts) flowed across the land, down the ancestral Columbia River, into the Portland basin and the Willamette Valley, and out into the ocean. But somehow it never over-topped the Waverly Heights basalts of Tryon Creek, making it a very rare place indeed. Meanwhile, the forest grew and evolved, different plant and animal species came and went, and countless years passed. 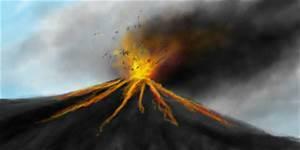 About 1-2 mya, another volcanic phase occurred. This was the period of the Boring Lavas (named for vents near Boring, OR), where local volcanoes such as Mt Tabor, Cook Butte, and Mt. Sylvania erupted and poured yet more lava across the land. As it turned out, however, the flows from Mt Sylvania only impacted the western edge of Tryon Creek park – thus largely leaving the Waverly basalts once again untouched. Ironically, even as those ribbons of fire flowed, the land was in the firm grip of an ice age, as it had been for a couple million years. Then, around 12,000 years ago, an enormous glacial lake in the vicinity of Missoula, Montana was being held back by a slowly warming and weakening ice dam. Ultimately, the ice dam failed, hurtling a 400′ foot wall of water, ice, and stone down the Columbia River toward Portland. By the time this torrent reached Tryon Creek, it was still 100′-150′ deep – scouring the soil back down to the Waverly basalts. This devastating flood wreaked havoc with forests and streams across the entire Columbia River watershed – and was repeated as many as 100 times! 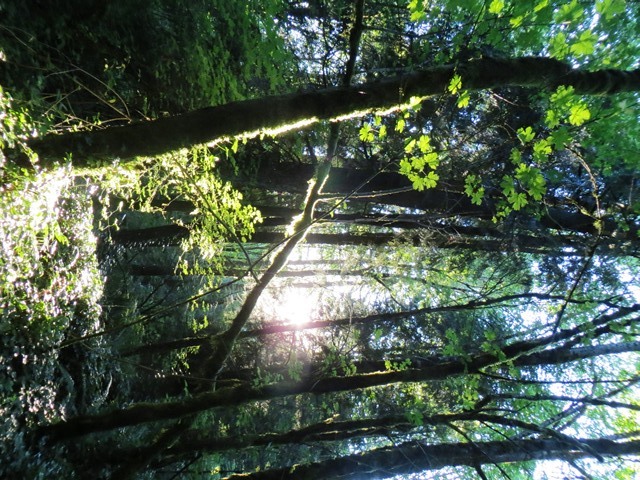 Since those long ago days, the forest of Tryon Creek has been comparatively tranquil – enabling a rich diversity of plant and animal life to flourish within its sheltering canyon. And today, with the blades of loggers and bulldozers also stilled, visitors can themselves enjoy the wren’s magical music, amidst this forested beauty which titanic forces of fire and flood have wrought.